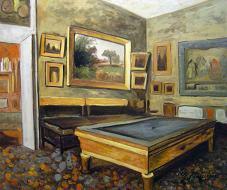 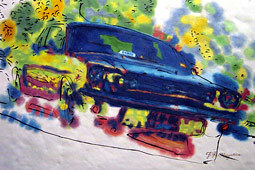 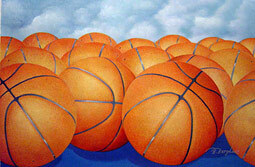 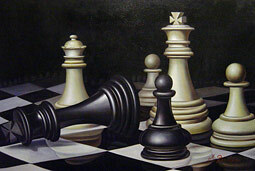 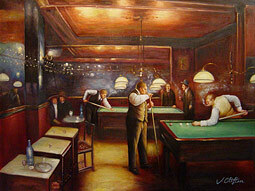 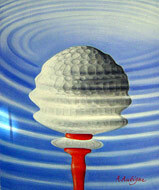 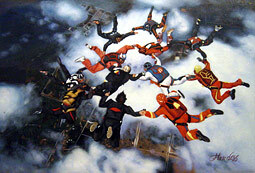 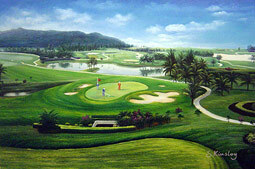 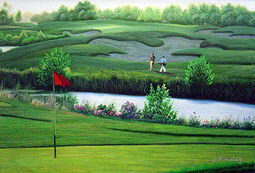 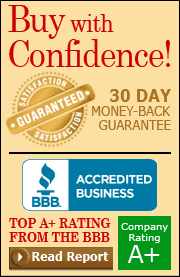 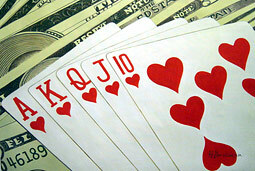 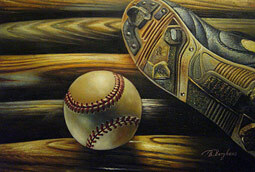 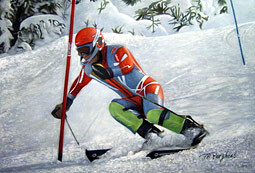 All of our sports paintings are 100% hand-painted by our professional artists. 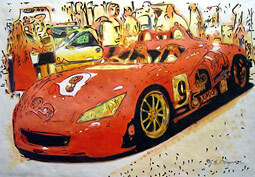 Our artists start with a blank canvas and paint each brushstroke entirely by hand utilizing the finest oil paints on artist grade canvas. 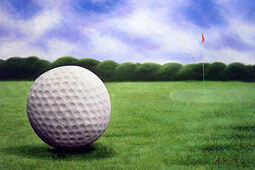 "A Sunday Morning Golf Game"
"After A Day Of Baseball"